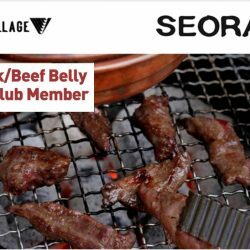 Till 11 Jan 2017 Seorae Korean Charcoal BBQ: FREE US Pork/Beef Belly for Golden Village Members! FREE US Pork/Beef belly meat? Sign me up now! 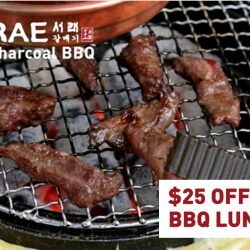 Exclusively for Golden Village members, enjoy FREE US Pork/Beef belly at Seorae Korean Charcoal BBQ when you order from the BBQ set menu! Valid till 11 January 2017. 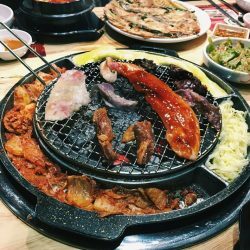 Experience the best of Korean Grill at Seorae! Head there for a weekday BBQ lunch and enjoy $25 OFF with min. spending of $80++! Enjoy the Foodmania Awards dining deals from now till 31 August 2016. 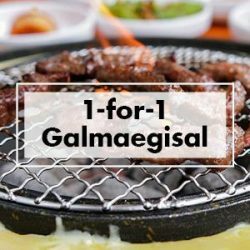 Get 1-For-1 Marinated Pork Skirt Meat (Galmaegisal) only at Seorae Korean Charcoal BBQ. - Comes with FREE Descendents Of The Sun Poster with Actor’s printed Autograph, while stocks last! Enjoy late dining promotion when you dine in after 8.30 PM, and get free 2 soju bombs (worth $20) or free 1 patbingsoo with minimum spending of $60. Can't get enough of Song Joong Ki? 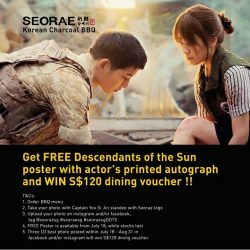 Get FREE Descendants of the Sun poster with actors' printed autograph and WIN S$120 dining voucher! 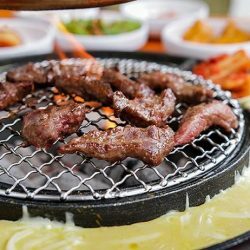 Join Capitastar Food Festival and get a good deal 1-for-1 marinated Galmaegisal with min spend $80++ only at Seorae Charcoal Korean BBQ. 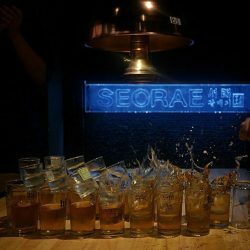 Get A pair of FREE Soju Bomb (up: $20++) with min. spend of $70++ for all UOB card owners. So, what are you waiting for? Join us now! 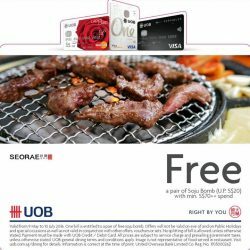 Hello to all UOB card owners! We have surprise treat for you in Seorae.